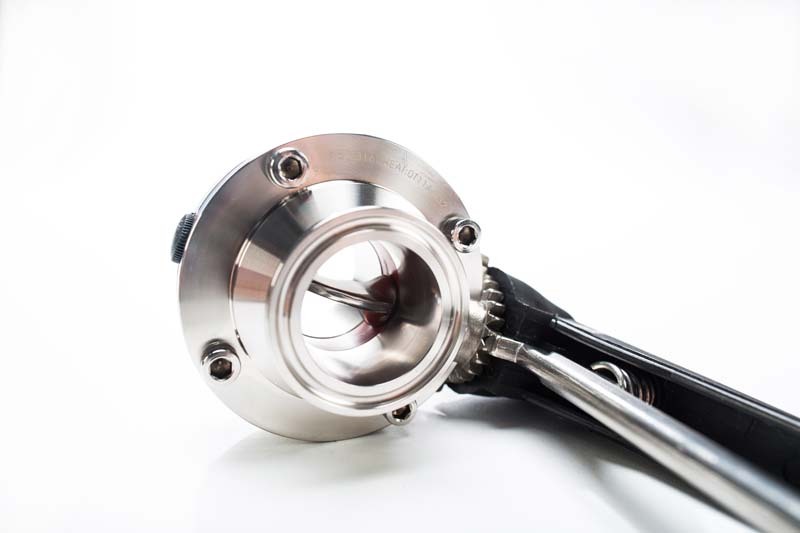 Economical Price for all sizes from 1.5" -- 4"
Sanitary Solutions introduces the following: Plastic Handle Butterfly Valve to service the Beverage, Brewery, Tank and Winery Industries. 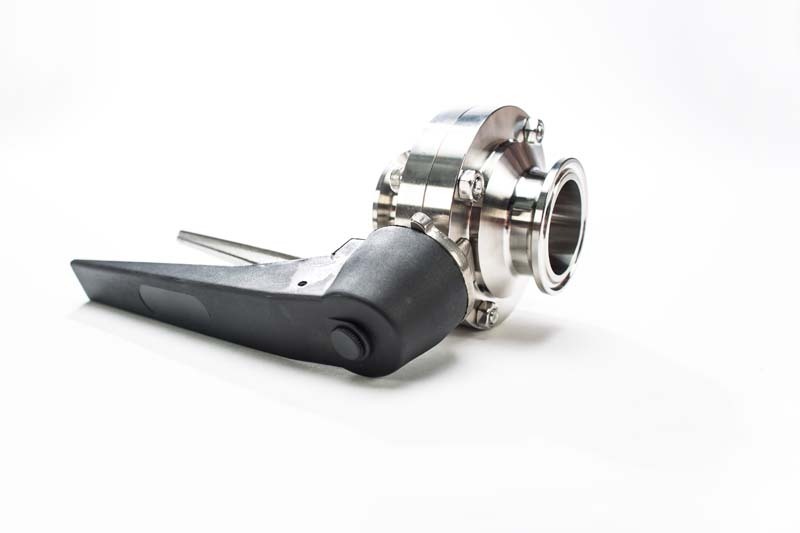 Our valve is designed with multiple positions so you can slowly open the valve and create less stress on the valve seat versus the open and close style of valve and the option of multiple positions for more or less flow depending on your needs. 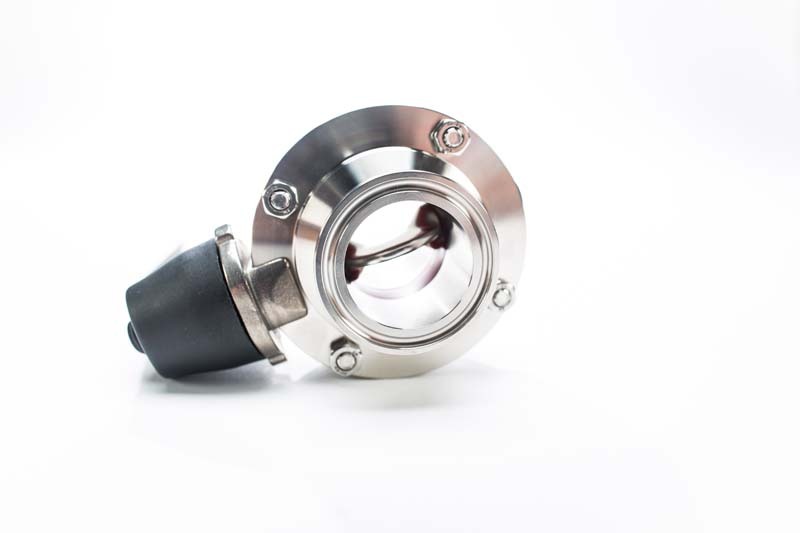 Since the valve comes standard with a clamp end, it is easy to assemble and disassemble when cleaning or working in a tight space. We have provide a black plastic handle for your fingers to turn the valve easier especially if it is wet and interchangeability of the Handle to either side when placed in an area where a wall could be a problem and you can not open and close the valve. 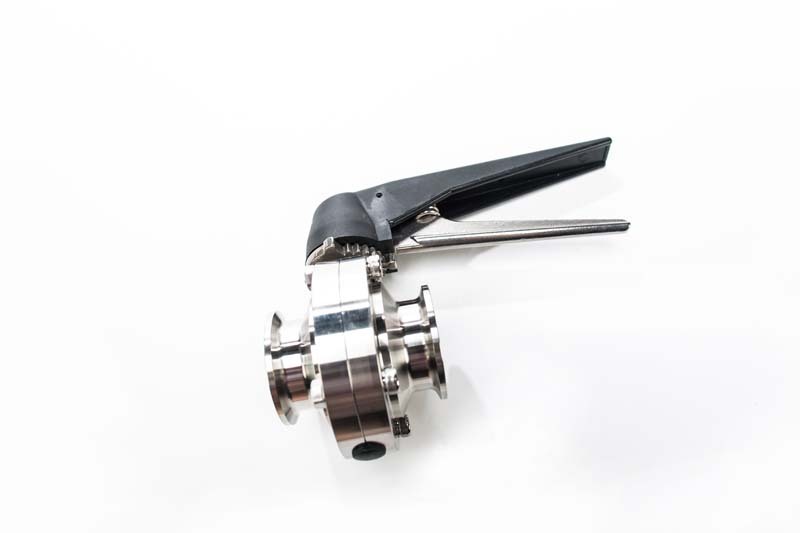 Sanitary Solutions Black Plastic Handle Clamp Multiple Position Butterfly Valves are 100 percent Hydraulic Pressure Tested and 100 percent inspected, no special tools needed in the field to work on the valve, and your choice of Silicone or EPDM seats depending on the product. As for the finish and all wetted surface, the sanitary finish is to a 32 Ra or better. Each valve is capped and bagged so you have no dings on the ends as well as permanent etchings for the size, alloy and heat number for full trace ability. Upon downloading the PDF Valve Sheets on pages 34 & 35 in our "NEW SANITARY SOLUTIONS VALVES/PRODUCT RECOVERY SYSTEM CATALOG", take a moment and review the break torque, flow coefficient, and pressure rating of each valve. Please keep in mind that the operating temperature range is 15 degrees F to 195 degrees F to assist you as to your process line requirements. 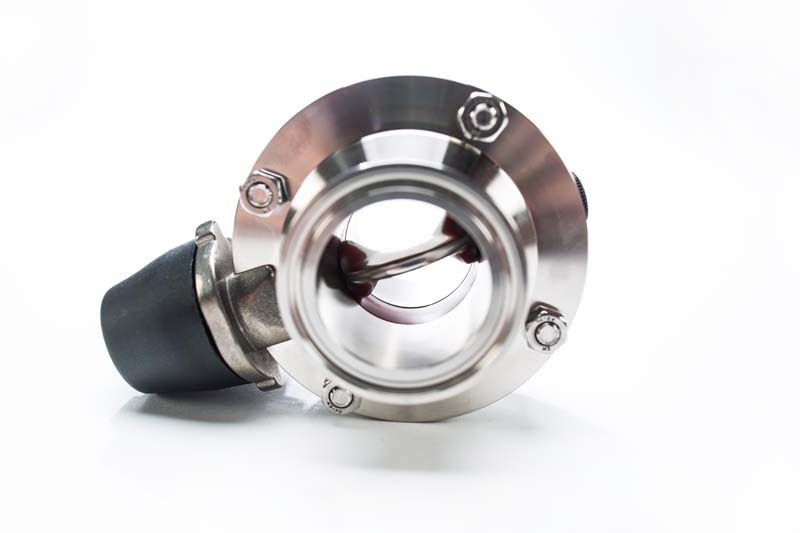 Sanitary Solutions ships the same day the order is placed with written confirmation for any type of seat needed for your valve-- Our sales team can assist you with stock availability, valve questions and repair kits. Material Test Reports -- Click here for the Material Test Reports page and put in your heat number to receive a PDF copy of your report --- now that's simple! Call us for pricing at 1-888-909-3569 or 1-855-640-7871 and get prepared to be shocked at the price! The more you buy, the more you save and, of course, we stock repair parts and seats for this valve.